CANASTOTA, NY - JANUARY 31, 2019 - The International Boxing Hall of Fame announced today five-time world champion “The Pazmanian Devil” Vinny Paz will attend the Hall of Fame’s landmark 30th Anniversary celebration during the 2019 Hall of Fame Weekend, June 6-9th. Boxing out of Cranston, Rhode Island, Paz compiled an impressive 100-12 amateur record. In a 21-year professional career (1983-2004) he registered 50 wins and captured five world titles, including the IBF lightweight and WBA junior middleweight belts. Amazingly, Paz fought just one year after suffering a broken neck in a 1991 auto accident. Beloved by fans for his heart and relentless style, Paz has scored wins over Greg Haugen, Gilbert Dele, Harry Arroyo, Lloyd Honeyghan, Glenwood Brown, Dana Rosenblatt and Hall of Famer Roberto Duran. In 2016, Miles Teller portrayed Paz in the highly acclaimed Martin Scorsese produced film Bleed For This. 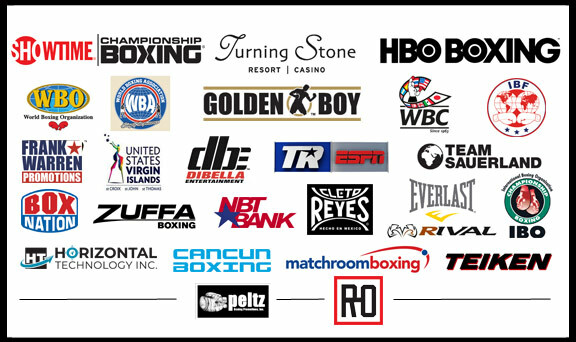 An impressive list of over 35 boxing greats from the United States and abroad are scheduled to participate in the 30th Anniversary celebration.